Domestic Violence can affect anyone, regardless of age or gender. 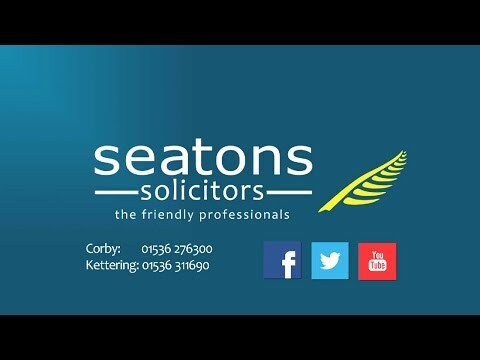 At Seatons, we have a wealth experience in domestic violence cases and provide clear, easy to understand legal advice in a sensitive and friendly manner. If you or a loved one have been a victim of domestic violence, please do not hesitate to call us on 01536 276300. Our team of qualified solicitors are trained to deal with the delicate nature of domestic violence cases and offer legal support to advise on the most appropriate course of action to take. Domestic violence refers to ‘any incident of threatening behaviour, violence or abuse (psychological, physical, sexual, financial or emotional) between adults who are or have been intimate partners or family members, regardless of gender or sexuality’. If you believe that you or a loved one have been the victim of domestic violence, please give us a call on 01536 276300. This prevents someone you have had a relationship with, or you have lived with, from using violence or threatening behaviour against you or your child. This regulates who can live in the family home, and can require the offender to leave the property or the victim to enter and remain there. To apply for a Non-molestation Order, the offender and the victim must be classed as ‘associated persons’. This is defined as married, civil or cohabiting couples, as well as couples who had ‘an intimate personal relationship’ for a significant duration. The scope of this order is wide ranging and includes acts such as intimidation, harassment and pestering which, whilst not physically harmful, can amount to domestic abuse. When deciding whether to impose such an order however, the Court must have regard to all the circumstances of the case, including the need to secure the health, safety and well-being of both the victim and any child. Breaching this Order is now a criminal offence with a maximum term of 5 years imprisonment. When deciding whether to impose an Occupation order, the Court will apply the ‘balance of harm’ test. This consists of scrutinising the level of harm suffered by the victim, and whether they are likely to suffer any further significant harm if the Court fails to make the Order. Alongside the ‘balance of harm’ test, the Court will examine all the circumstances of the case, including housing needs, financial resources etc. to decide if an Occupation order is the most appropriate course of action to take.